Here at Cuthberts we try to keep our ear to the ground when it comes to new toys, especially when everyone is talking about them on social media. About a year ago this fantastic video popped into our Facebook timeline and there's no wonder it went viral. 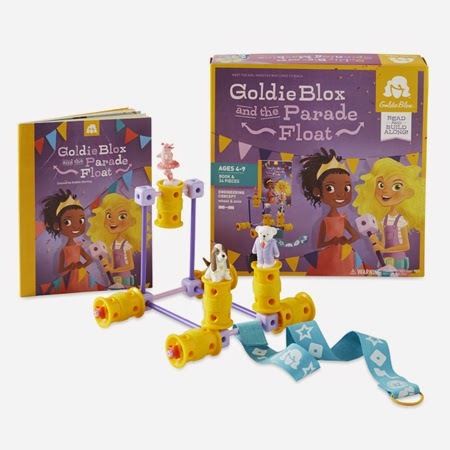 GoldieBlox was invented by American engineer Debbie Sterling with the simple aim to inspire the next generation of female engineers. By introducing engineering concepts to girls at an early age GoldieBlox hopes to present them with more career options in the future, and help them see that gender really doesn't limit your future in any way. Each GoldieBlox set contains a book and a construction set. 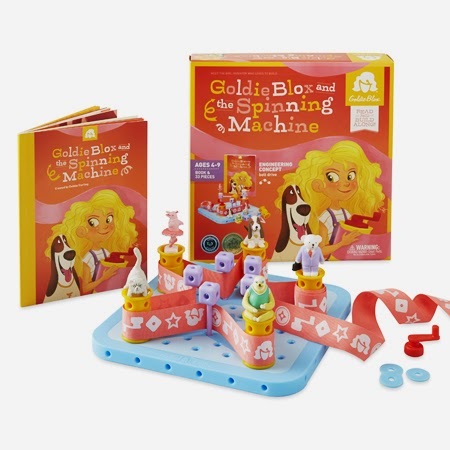 Children are encouraged to build along with Goldie, the girl inventor in the series who solves problems by building machines. Research has shown that boys and girls learn differently and girls respond far better to the idea of building along with a story - hence the concept behind GoldieBlox. As well as being a huge viral internet hit GoldieBlox has also been incredibly successful in the US, selling over $1M of sets in less than a year. And now Goldie is coming to the UK! We're delighted that Cuthberts are going to be stocking GoldieBlox from September 2014. There are three sets to watch out for: GoldieBlox and The Spinning Machine - where Goldie builds a machine to help her dog Nacho to chase his tail, GoldieBlox and The Parade Float - in which Goldie builds a parade foot to carry the winner of the town princess pageant through town, and GoldieBlox and the Dunk Tank - when Goldie has to come up with a way of cleaning her dog Nacho who hates water. 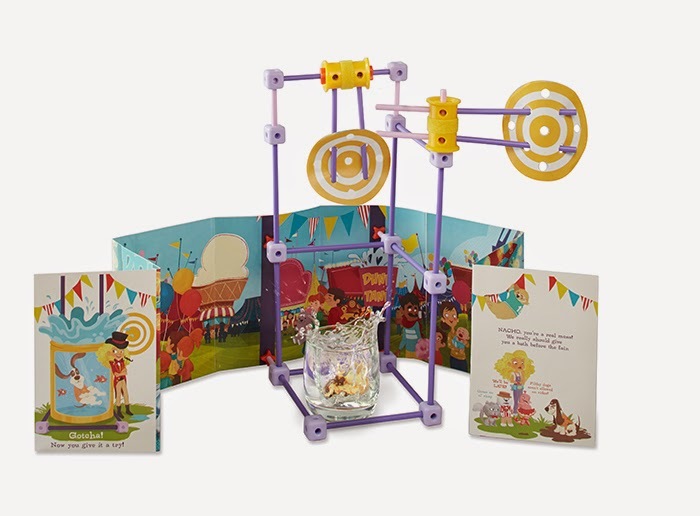 Keep an eye on our Cuthberts Blog to see a review of the GoldieBlox sets very soon! If you're looking for something to inspire girls ages 4 and over then GoldieBlox really is the perfect engineering solution. STOP PRESS. All the Goldie Blox sets are in store now (St Albans, Letchworth and Hatfield Galleria) and you can also buy Goldie Blox sets online from us here.